anything new here? im still interested. Me too. Anyone need money and want to sell their Komodo, or other quality rear bumper let me know. Ill give you top dollar. Looking for tire carrier and one or two fuel can carrier. Have you had any luck finding another Fabricator to build some more? I am still open to the idea of getting a rear bumper designed and manufactured up here in Canada. I'll need help with the design, however. I found a guy in Texas who had made a few of them who had one left mostly done. Im getting a tire carrier, high lift jack and two fuel cans. They are nice looking too. I feel VERY lucky. 06 Renegade, 265-70-16 Duratracs on Moab's/OMF, RL sliders ,roof rack, On board air, JBA-UCA, adjust-a strut, Rear-OME 948 two uppers ,Sensatrac shocks, Boiler rad. skid, Mopar/4x guard skid,Terra-flex 4:1,HD cooling,more lights, gauges. 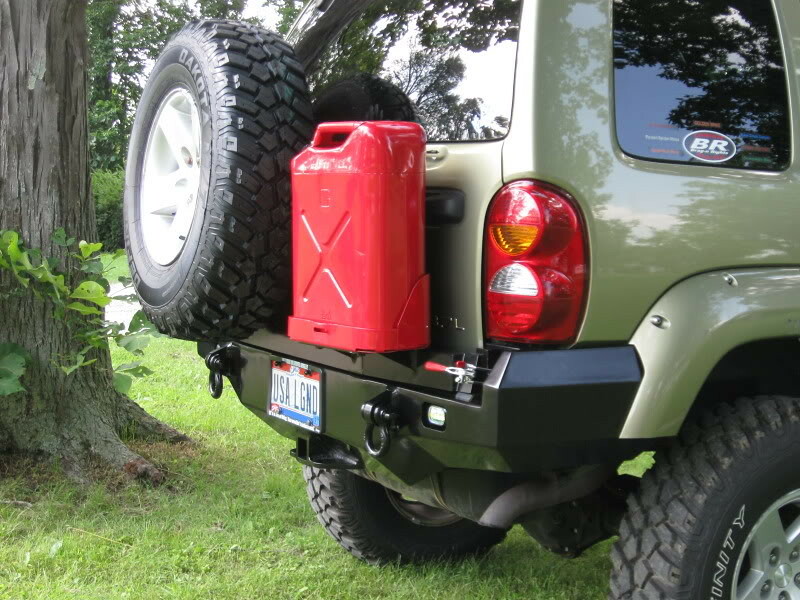 ARB/Warn, Mudds Rear Bumper.